Improve your English during your gap year. Backpackers from all around the world gather in New Zealand to take the best gap year of their life. The goal: discovering our amazing landscape and gaining valuable work and life experience. One of the prime focuses for many non-native English backpackers is to improve their English level. 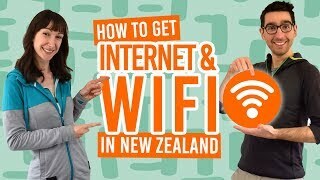 By immersing yourself into the New Zealand culture, you will get to practice your English a lot and you will feel like you are improving fast. Coming back home fluent in English is a huge asset when hitting the job market. For this very reason, many backpackers choose to undertake short English courses in New Zealand to gain world-class diplomas that employers are looking for. This is a great way to turn your gap year into an asset on your CV. 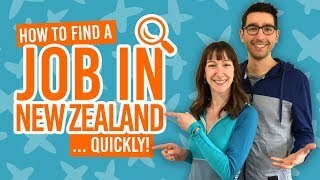 Can you Study English in New Zealand? Your visa determines whether you can or cannot enrol for English courses in New Zealand. Working Holiday Visa: Most working holiday visas include the right to enrol for one, three or six months courses. Check out your working holiday visa conditions on Working Holiday New Zealand. Visitor Visa: You cannot study in New Zealand with a visitor visa. (See our Visitor Visa guide). Work Visa: Most work visas entitle you to study in New Zealand. Make sure to check your visa conditions. Student Visa: You can enrol and study in New Zealand under your specific visa conditions. Check out Which Visa Do You Need to Study in New Zealand? TOEFL, TOEIC, IELTS, ESOL… What does it mean? Valid in over 130 countries the TOEFL is probably the most well-known English test across the globe. It is primarily aimed at foreign speakers looking to enrol at an English-speaking university. The test aims at grading their English proficiency, therefore their aptitude at following a course in English. TOEFL is also widely accepted by employers worldwide and immigration agencies like Immigration NZ also accept them as proof of English proficiency. The TOEIC test is designed for companies to evaluate which candidate is best to hire for an international position. This is a highly business-focused test that is widely respected by companies all around the world for both employee promotions and new hires. The test comes in two formats: Listening and Reading to evaluate your understanding of the English language and Speaking and Writing to evaluate your aptitude at communicating in English. This test aims at evaluating a non-native English speakers’ level of English proficiency under one worldwide standard test. The IELTS test comes in two different tests. The “Academic” version of the test is perfect for those that are looking to study in an English-speaking country or work in an English-speaking country. Showing a great result will increase your chances to get the job or get enrolled. The “General Training” is aimed at people that want to immigrate in an English-speaking country and want to prove their proficiency in the English language. Average study time: 8 weeks preparation course is recommended. This test is more of a general test covering both professional and everyday life, encompassing conversational, writing, reading, and listening skills. It is widely used in the UK by migrants but is getting more popular in New Zealand and other Commonwealth countries. It is a great way to standardise results of more generic English courses, as opposed as the intensive test preparations undertaken to get a good score for the other tests mentioned above. ESOL is not a test. It is a generic term that is used by language schools to describe certain types, of course, that may or may not end with one of the tests above. It is also known as ESL (English as a second language), EFL (English as a foreign language) or EAL (English as an additional language). How to pick the best school to study English in New Zealand? There are many factors to take into consideration when picking a school to study English in New Zealand. Since there are so many offers on the market, you are bound to find one that will suit your particular needs. In cities like Auckland, there are over 50 different English schools to choose from! Pick a school that offers a program to fit your travel time. There is no need to enrol for 25 weeks – often only 6-8 weeks suffice! This is a critical consideration, especially if you are planning to study part-time and work on the side. Pick a school that offers hours that will not interfere with your working hours. Employers will not adapt their store hours to your schedule; you have to get free time during general working hours. Find a school that fits your budget, but keep in mind, if a deal is too good to be true, it probably is. Well-qualified teachers are not cheap and re-taking failed tests are expensive. Every school will be happy to give you a tour of their facilities. We encourage you to show up in-person in English schools before enrolling so you can get a feel of the place. A quick online check should give you a good insight into an English school. Both student ratings and success rates should be taking into consideration. Exams and tests are expensive to run by schools so they often come only at selected dates. Smaller schools may only have four test dates throughout the year. It is critical for you to ask when the test dates are to see if they fit your schedule. Check out the Auckland Edinburgh College that has a broad range of English courses, flexibility in schedules and a good reputation. When travelling through New Zealand you will have the opportunity to interact with people from all across the world. Do it! Go nuts! Talk to everybody! The more you practice your English, the more it will improve. Most travellers see tremendous improvement in their English level within only a few weeks of being in New Zealand. However, this means that you need to refrain yourself from speaking your native language. If you are travelling with friends, make a plan to speak English together as well. That way, you will practice more and seem friendlier to other travellers, as opposed to talking in a language they don’t understand. Since practice is king when learning a new language, you may also want to consider studying English part-time and freeing yourself some time for work or activities where you will be able to practice your English instead of sitting in a classroom. Make friends! You will be surprised by the difference that it makes. It is not unusual for part-time students to improve faster than full-time students.